PROPERTY developer DTL has been ordered to pay to Hanover Construction Company over $8.5 million for money owed to complete the construction of the La Fortresse Housing Project at Long Circular Road, St James. 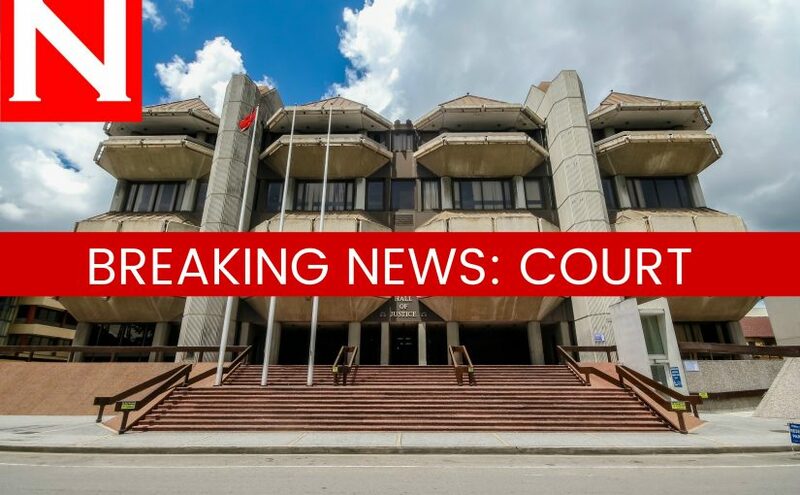 The order was made by Justice Ricky Rahim in the Port of Spain High Court on Friday, who also ordered that the developer pay the construction company’s legal costs. Hanover Construction sued DTL for breach of the March 7, 2016 contract after money was owed on nine certified interim payment certificates. The construction company was to complete the construction on 55 residential units - ten tri-level houses and forty-five two bedroom town houses - at DTL’s La Fortresse, a multi-million dollar gated community complex on a 3.2 hectare site opposite Long Circular Mall, and near Federation Park. The site was previously the PSA Grounds. The contract between DTL and Hanover was $23,801,573 and was governed by a FIDIC contract. Hanover began work on May 4, 2016, and submitted nine interim payment certificates for the work it did. The payment certificates were approved by DTL in its capacity as engineer as to the terms of the contract. According to Hanover, who was represented by attorney Lynette Maharaj, SC, under the FIDIC “Red Book” conditions and the particular conditions of the contract, DTL was obligated to pay the amount certified in each payment certificate within 28 days after receiving it. A clause in the contract also provides for Hanover to collect financing charges on the amount remaining unpaid. With the money owing, Hanover exercised its contractual rights to reduce the rate of work and suspend work on the project until it was paid. In its defence, DTL, represented by attorney Farid Scoon, claimed although the aggregate sum for the nine payment certificates was $7,870,011.62, that the sum was not due and owing. The developer claimed that Hanover has not completed the units in accordance with terms agreement and it had not collected the balance of the purchase price due from the purchasers of the units, so the money claimed by HCC is not due. DTL said it was always intended that it would be paid at the completion of each building when the payments for each unit by their respective purchasers would be put into the escrow account which is under the control of HCC and which HCC can access. The developer added that, as it presently stands, the main factor preventing the completion of the development, the turning over of the units to the respective purchasers, the collection of the final payments from which Hanover was to be paid and for which there would be more than sufficient funds to pay the contractor was its own obstruction of the project by suspending the works after it has completed a significant portion of the works contemplated by the contract. DTL also filed its own counterclaim in the lawsuit, but that was dismissed by the judge who held that it was a condition of the contract for DTL was to enter into a payment guarantee bond and that funds were to be sourced from time to time by Hanover from the escrow account, depending on whether funds were there present and, if not, then from the payment guarantee. He added that DTL’s unilateral decision not to obtain a payment guarantee bond was in breach of the contract between the parties and that Hanover began work on the project in good faith on the premise that the guarantee bond would have been executed subsequently. Rahim also said there was evidence that Hanover attempted to help DTL to secure a bond by arranging for it to meet with a financier and that there was no evidence to support DTL’s assertion that the main factor affecting completion of the project and the turning over of the residential units to the purchasers was the fault of Hanover. He said there were unresolved issues so that the property could not have been assigned for the remainder of 199 years between vendor and purchaser. “ Further, there appears to be no evidence to satisfy the court that the various judgments registered against La Fortresse Company Limited and DTL have been satisfied and removed. It means that in any event there could be no final sale to purchasers,” he said. Rahim added, “It simply does not accord with good commercial sense and practice and perhaps even common sense that a contractor with no vested interest in profit sharing from the project or otherwise would expend all monies on a project and wait until the completion of all works to be paid. He said based on DTL’s arguments it equated Hanover to a financier or investor, which it was not. “If anything, HCC may be accused of making a poor commercial decision to begin work prior to securing that all the safeguards provided for in the contract were in place." The sum DTL was ordered to pay to Hanover also includes interest. The post Developer ordered to pay contractor $8.5M appeared first on Trinidad and Tobago Newsday.